GMMI, Global Mission Medical Insurance, for expats is one of our top international career insurance plans for our clients. 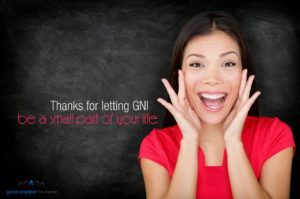 You may view all the benefits and coverage options on our web page at https://www.gninsurance.com/gmmi-career-long-term-insurance-plans/. The brochure online highlights all the five different major options you may choose from on the GMMI plan. You may also get quotes and apply online easily too. Have more questions? Please call our international insurance specialist at our toll free number, 866-636-9100 or email us at info@gninsurance.com. Below is just a few things to share with you on the GMMI plans. All the plans include evacuation and medical coverage. These plans are for those residing outside the U.S. for more than 12 months. * Unfortunately, there is not a discount for physicians though I wish there were. * You may add the Dental/Vision rider when you renew your policy for preventive dental care. * With the purchase of this rider, you don’t have to use a particular network of providers within the U.S. or abroad. You may visit the dentist of your choice. * This coverage will be available to you after 12 months of owning your policy. * Routine physicals and blood work will be included. Not included is blood work for pregnancy or genetic testing. * Imaging is included, up to the usual and customary rates of the area, subject to the deductible. * MRI and CAT scans require pre-certification within the US and abroad. * Emergency care is included, subject to the deductible. * All benefits of your Gold Plus plan are worldwide, within the U.S. and abroad when you purchase worldwide coverage. You may also purchase outside the U.S. and Canada cover. The premium difference will be around 20 percent. These are just a few benefits on the GMMI plan. For my questions email us at info@gninsurance.com.